Tuesday Afternoon Friendship club and various meetings. These are not listed here. January 1st - 7th 2019 CLOSED for our annual week off - including P. O.
January 11th 2019 - (FRIDAY) very large function in entire ground floor, all other service extremely limited. February 9th 2019 - DJ Night! Come down and get those feet dancing! Couples also welcome but don't mention the V word. Paper hearts banned. February 23rd 2019 - Restless Wilf rockin' the Plough! March 14th 2019 - large function - no other food service. Main Bar and Garden still open. April 6th 2019 - Evening- the amazing mutant bagpipe playing bunny rabbit reappears - it's LA PHOOKA live! May 18th 2019 - CLUB DAY.........and we are fortunate enough to have LA PHOOKA live again! June 18th 2019 (Tuesday) Large Function. No other food available. Tuesday Afternoon Friendship club and various other meetings. These are not listed here. March 1st 2018 St David's Day "Cyfarchion Dydd Gwyl Dewi"
March 17th 2018 - St Patrick's Day ........and we have Guinness! card payment facilities till Tuesday. Please bring sufficient cash with you. May 16th 2018 - 1sts AT HOME, Casuals have a 'BYE', i.e. no match. May 25th 2019 - Official Opening of the Local Post Office in the Plough at 4pm - come and join us! June 21st 2018 Marsh Gibbon O.F. Fund Pig Roast at the Plough - come down and give them lots of money! July 6th 2018 OYAP Trust ROCK SCHOOL, Teens who Rock! Playing live 7pm-8pm Come down and hear them! July 21st 2018 - Jamie Felton rockin' the Plough - come down and hear him! August 15th 2018 AUNT SALLY - 1sts AT HOME, Casuals have a 'BYE', i.e. no match. September 19th 2018 Wednesday - 20:00 (not 20:30) SINGLES Aunt Sally semi finals at The Bull, Launton. Supplementary Cup, Pairs in Div 5, Pairs in Div 6 and Singles in Div 5. BRILLIANT! October 27th 2018 - Something Very Spooky going on! It's our Hallowe'enFancy Dress Party! November 14th 2018 - Large function - not serving lunches today - apologies! Teams of 1 always made very welcome. Tuesday Afternoon club and various other meetings. These are not listed here. March 17th 2016 St Patrick's Day - Beannachtaí na Féile Pádraig oraibh! Come and have a Guinness with us! 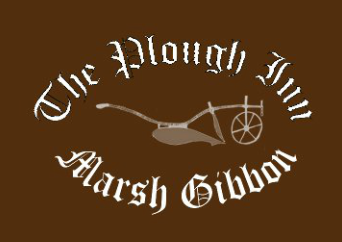 March 22nd 2017 LAST PLOUGH BIG PUB QUIZ Till October -with a little Irish twist this time! Bar and Cafe menus still available. AND Mark won the Div 5 Singles Title - you are all amazing! October 18th 2017 - Please note Lunch Food will be Bar Service only today Main bar fully open. November 25th 2017 La Phooka playing live! December 2nd 2017 large lunchtime function - no other food service at lunchtime, main bar open as normal. December 31st 2017 - through to the New Year - ROCK ON! It's our NEW YEAR PARTY - free entry! not have appeared here yet. February 6th 2016 (Sat) Start of the Six Nations - Come and watch with us! February 7th 2016 (Sunday) Private function in Restaurant. Please check in advance for other food availability. March 6th 2016 (Sunday) Mother's Day - Treat her to Sunday Roast at the Plough! 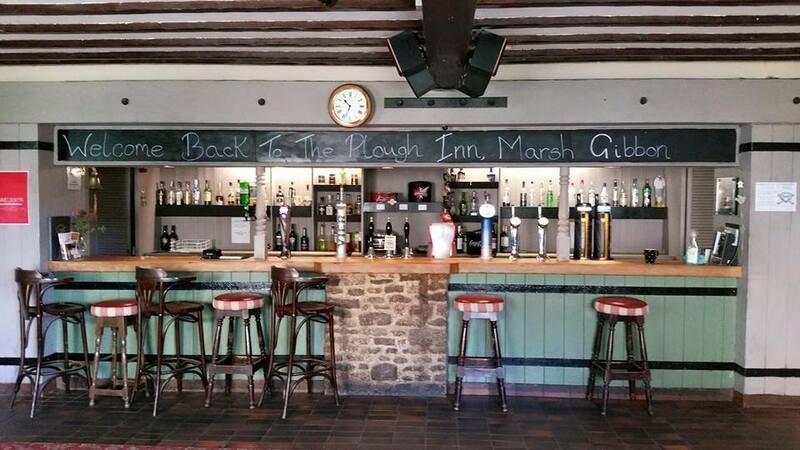 March 23rd 2016 The Plough Big Pub Quiz - come and s-t-r-e-t-c-h those grey cells! March 26th 2016 - Remember the hour goes back tonight! April 12th to June 12th 2016 Shakespeare Colouring Competition - any age incl adults - collect a sheet! May 22nd 2016 - Open as usual (12 -23) but Sunday Roast is not available this week. June 21st 2016 - We've been here for a whole year everyone! - Happy Anniversary to us! September 21st 2016 - Not on the Plough Aunt Sally team? Out of practice/Never tried playing? Lots of time to practice and reach team standard before next April. October 15th 2016 - DJ Flibble hosts another glorious night of Spinning Vinyls! October 26th 2016 - (Wednesday) The Plough Big Pub Quiz RETURNS! 7:30 for 8pm Brains and Pencils Sharpened! November 30th 2016 St Andrew's Day - Hae a wee dram wi' us! December 31st 2016 - New Year's Eve and DJ Flibble will be rocking us all into the New Year - Here we go! And last year was quite a year too...... remember all these? November 14th 2015 Live Music at the Plough - "Courtin' a Storm"